In an obvious oversimplification of investment advice, advisors might choose to evaluate a client’s near-, mid-, and long-term objectives along with the risk profile, and then develop a strategic plan to meet those objectives over time. Yet when it comes to advisors investing in their own brand development, marketing, and advertising efforts, the advisors tend to view it much more as a transactional endeavor rather than a strategic investment to meet brand objectives and growth over time. It is also easy to look at an advisor’s low acquisition rates for social media, advertising, and events and dismiss them as unimportant. We emphasize the holistic approach, with a goal of understanding how branding, marketing and advertising should work together – not in isolation. Client acquisition is hardly ever attributable to just one aspect of your branding, marketing and advertising; it is almost always the collective experience, feeling and user-experience at every touchpoint that matters. It is all the small decisions along the way that lead to the ultimate decision of moving forward. Your prospects evaluate every experience and determine whether the experience aligns with their expectations. Part of branding and marketing is designing and delivering a message and experience that sets the right expectations for what your audience wants, then delivers on (or even better exceeds) those expectations. Branding, marketing and advertising isn’t just about who you are, what you believe, and what clients should expect. To be effective, your branding, marketing, and advertising needs to reflect what clients believe and expect for themselves. And when the experience matches their expectations, they are more likely to refer others who believe and expect the same things. One of the unique things about Idea Spring, is that although we’re dedicated to helping small business with their branding and marketing, our roots in technology and engineering means that we’re always keeping on top of the latest trends. Our tech-geek background is sometimes applied directly, for example when we’re working with technology-product manufacturers. But it also means we’re keeping up-to-date on technology trends that impact small business, especially when it comes to marketing and automation. Our current tagline is “Building Brands that Matter”, but it used to be “Making enterprise tools, technology, and techniques feasible for small business.” Although we’ve changed our tagline, the commitment and passion for technology hasn’t stopped. In fact, we pride ourselves in being able to deliver big-business services in a way that makes sense for smaller businesses and budgets. In the early days of the Internet the amazing result was that for the first time, small businesses could compete with big business on a “level playing field.” Unfortunately, that didn’t last too long. Sure, slower moving big businesses took some time to move, but those early days are gone. Now, small businesses must compete for the same attention-diluted-and-advertising-weary audience as larger businesses with larger budgets. We are staying up on Internet of Things (IoT) including Industrial IoT (IIoT) and the movement of technology at the edge, and “fog computing” in addition to the rapid growth of Cloud computing and Microservices architecture – something I didn’t see called out on the Forrestor report, but an approach that I believe is a game changer in how new cloud services will be designed and launched in the future. We are also continuing to dive deeper into deep learning and neural networks, and the integration of learning software in automation. Although we like to geek-out on the technology itself, we are always looking at how to apply that technology in ways that can help small businesses do more with less. Of course, some of the technologies are still early in their adoption lifecycle, but we’re excited about the direction. Here are the technology trends released by Forrester which will help you maximize the value of business technology during 2018-2020. It’s important to know that it is possible to manipulate people. Like any tool, the application of psychology to move and persuade people can be misused in marketing. For all of its episodes, this was the first one I’ve heard from the Art of Charm marketing podcast. The first thing that jumped out at me was that they use a phrase very similar to my own. The phrase I use quite often is “It’s not that we think we have all the answers, but I believe we certainly have the right questions.” While slightly bummed to find that my saying isn’t original (not that I thought it was), it’s always comforting to feel validated. Robert Cialdini is the author of a popular book called Influence: The Psychology of Persuasion. In the book, he discusses six pillars of marketing persuasion—psychological factors that influence people to act more strongly. Those factors include reciprocity, commitment and consistency, social proof, authority, liking, and scarcity. One of the topics in the podcast is the misuse of these principles to manipulate people. Trust me, even being fully aware of the manipulation that occurs, I’ve been suckered into more marketing “guru” scams than I’d care to admit. Fortunately, it’s always easy to rationalize these expenses as business research. I often do learn something useful about principles and psychology—not always from what they are teaching, but through introspection about what caused me to say yes to their offer, and the patterns they use. But often I feel more upset at being manipulated than glad I made the purchase. It’s important to know that it is possible to manipulate people. Like any tool, the application of psychology to move and persuade people can be misused. I think it is Seth Godin, though I’m not entirely sure, who said something to the effect of “Manipulation is convincing people to buy things they won’t like; marketing is telling the story in a way that gets people to buy something they will love.” At Idea Spring, we’re pretty selective about who we work with because it’s really a lot easier to persuade people when you love the product (or service) and know the target audience will too. “Pre-suasion,” as Cialdini defines it in this podcast, is “The practice of getting recipients sympathetic to your message before they experience it.” He points out that this practice is not magic; it is rooted deep in the mind. One of the things I wish business owners—especially small business owners—had is a deeper understanding of what marketing really is. It is so important to know that marketing is really the application of psychology in a business context to motivate an individual to respond positively to our asks. Real marketing strategy starts as an exercise in trying to get into the mind of the target audience. Every aspect of marketing—the words we use, the physical design, the channels of communication we employ, and how we choose to deliver the message—requires us to place ourselves into the mind of the recipient. We must imagine what actions will be most effective in getting our target audience to say yes to whatever it is we’re asking them to do in that moment. This is the case whether we are looking for a “micro-yes” (simply reading an ad, clicking a link, or opening an email) or a “macro-yes” (making the ultimate decision to do business with us). The podcast goes in-depth about how we can take psychology even further to get recipients prepared for the delivery of our message, and how even subtle things like images, placement and word choices can have a major impact on the behavior of the audience when our message is delivered. Enjoy the podcast, and let me know what you think. And of course, if you are human—or marketing to other humans—feel free to reach out and talk about your own marketing experience or needs. Small businesses prefer Do It Yourself (DIY) marketing solutions over Do it For Me (DIFM) until they reach an appropriate budget. At Idea Spring we’ve found that our Agency Services approach works across a wide range of business sizes and budgets. Idea Spring provides branding and marketing solutions for small businesses of all sizes and budgets, from solo entrepreneurs with minimal budgets, to larger companies with well-funded (but certainly not unlimited) campaign budgets. We discovered that for all businesses, it’s a matter of prioritization and maximizing the results from every marketing dollar. We custom-tailor our solutions, and don’t force our clients into cookie-cutter A, B, and C packages. We also take a long-view approach with our clients, and acting as their dedicated marketing team, we help them manage their marketing dollars by shifting priorities each month as needed to reach their objectives. Our model is based on doing what it takes to “move the needle” in the right direction. We advise our clients on reasonable expectations based on their marketing budget relative to their industry and marketplace competition. For some clients it simply means starting small and gaining traction to grow their business and their budget. For other clients it means improving their marketing efficiency so they can do more with the dollars they have. So in the DIY vs. DIFM marketing for small business debate, we fall more on the “do it right for you and your budget”. The Kano Model is a theory of defining what customers value in a product or service. It is “complex” but not “complicated” in that it ultimately stems from first understanding “simple” expectations of the customer. 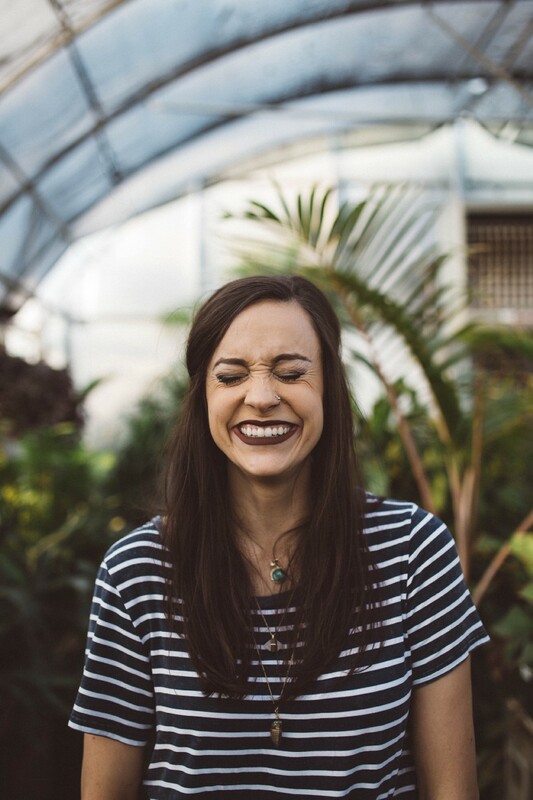 · Delight Features: Features that are not expected and that when successfully delivered can exponentially increase the customer’s perception of the brand, product, or service. · Performance Features: The features that are expected to perform in a way that provides a competitive advantage, or why the customer selected the product over a competitive product. · Minimum Features: These are minimum expected features, the lack of which can exponentially decrease the perceived value of the brand, product, or service. · Undesired Features: While not common, these are features whereby their existence would lead to negative perception — that is the customer does not want these features to be present. So, how does all this relate to individual team members and overall brand culture? The Kano Model contains factors that not only encompass the product and service features — but *how* successfully those products and services are delivered. The same factors of delight, performance, minimum, and undesired can be mapped to the physical interaction with our brand in the delivery of the products or services. 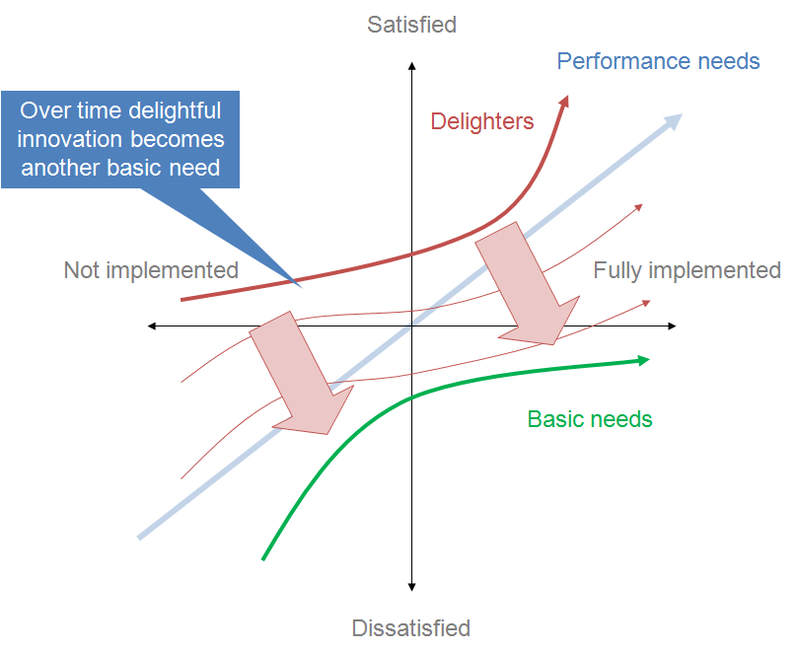 Other aspects of the Kano Model is that it can be used to help define and prioritize new products and services that should be offered by the brand. There is a scientific and mathematical approach to engaging with customers to understand desires and shape product and service direction. Given the importance of customer service and engagement, as leaders we should also work to define those brand and team member attributes which contribute to success. What are the minimum expectations of the brand and team as it relates to the customer experience? What can be done to provide a competitive advantage? And what would our engagement look like if we really wanted to generate delight? And what should we *not* be doing? These subjective qualities can also be mapped to customer satisfaction surveys. We also develop and use associated metrics to reward employees and team members for performance that delights our customers.